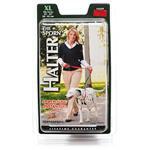 Dog harnesses help keep things comfortable for the dogs when pet parents decide to put them on leashes. 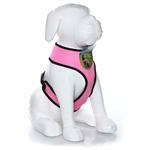 Unlike collars, a dog harness applies no pressure on the neck region and thus eliminates the chances of accidentally choking them. 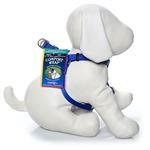 A harness has several high-strength loops that wrap around the dog's body and applies force to the torso area instead putting pressure on the neck. 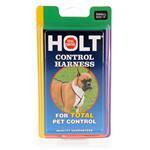 Harnesses are also much more secure as they prevent the dogs from wiggling their way out of them. 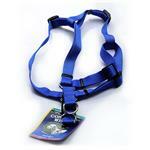 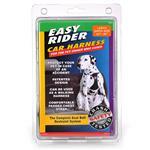 There are several varieties of harnesses available in the market. 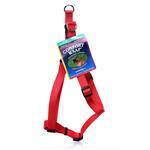 The no pull dog harness is increasingly becoming more popular among pet owners. 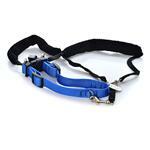 These harnesses gently restrict the dogs from pulling ahead and help owners control large dogs without much trouble. 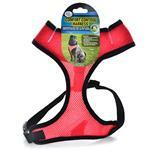 At PetCareRx, we feature some of the best harnesses brought to you by some of the most trusted companies such as Four Paws, Easy Rider, Li'l Pals, Sporn, and more. 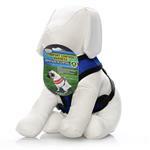 Available in various sizes right from puppy harness to large harness meant for larger breeds such as Great Danes, Rottweilers, and St Bernards, these products are absolute essentials. 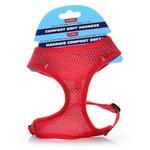 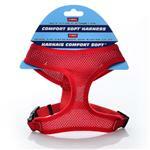 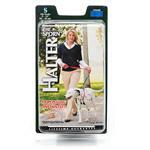 Check out our dog harness section to find a product that best suits you and your dog's need. 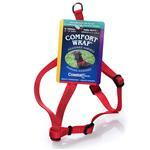 Comfort Soft Adjustable Mesh Harness 3/8"
Small Comfort Wrap Adjustable Harness-5/8"
X-Small Comfort Wrap Adjustable Harness-3/8"